Affinity purified against GST-MMGT (70 – 131) [DU 38865] and then depleted against GST. FLAG-MMGT was overexpressed in HEK293 cells. 1 mg of total lysate was used for immunoprecipitating the overexpressed FLAG-MMGT using anti-MMGT (70 - 131) S342D or anti-FLAG (Sigma). 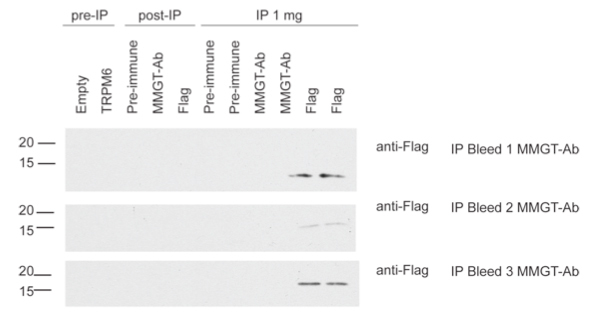 Anti-FLAG was used to blot the immunoprecipitated material. 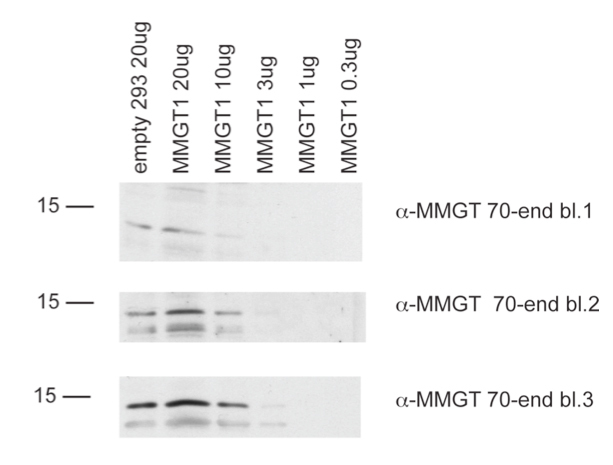 Please note that this antibody does not immunoprecipitate MMGT.